The Andhra Pradesh Public Service Commission (APPSC) has issued Group 1 recruitment notification for 169 posts on January 1, 2019. Eligible candidates can apply from January 7, 2019 through APPSC official website -psc.ap.gov.in. The last date to submit online application is January 28, 2019. APPSC Notification 2019 Recruitment Apply APPSC Group 1 Posts. APPSC Deputy Collectors, CTO/Commercial Tax Officers, DR/ District Registrar, DSP/Deputy Supdt. of Police (Civil), Assistant Prohibition & Excise Superintendent, District B.C. Welfare Officer, Municipal Commissioner Grade-II, Assistant Commissioner posts 2019. 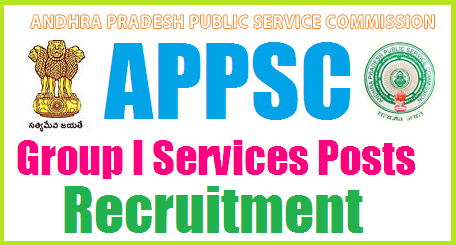 APPSC has published the Group I Services posts/Officers Recruitment 2019 notification and inviting online Applications from qualified candidates to the post of Deputy Collectors in A.P. Civil Service (Executive Branch), Commercial Tax Officers in A.P. Commercial Taxes Service, District Registrar in A.P. Registration and Stamps Service, Deputy Supdt. of Police (Civil) Cat-2 in A.P. Police Service, Assistant Prohibition & Excise Superintendent in A.P. Prohibition & Excise Service, District B.C. Welfare Officer in A.P B.C. Welfare Service, Municipal Commissioner Grade-II in A.P. Municipal Administration Service, Assistant Commissioner of Labour in A.P Labour Service in the State of Andhra Pradesh. The proforma Application will be available on Commission’s Website (www.psc.ap.gov.in) More details about AP Group 1 Notification 2018-19 like Application process, eligibility, Exam Syllabus , Exam Pattern, Hall Tickets, Results details are given here. 4 Salary of Pay Scale Rs..
04 Deputy Supdt. of Jails (MEN) in A.P. Jail Service. 07 Regional Transport Officers in A.P. Transport Service. 11 District Employment Officer in A.P. Employment Exchange Service. 13 District Tribal Welfare Officer in A.P. Tribal Welfare Service. 14 District Social Welfare Officer in A.P. Social Welfare Service. 15 District B.C. Welfare Officer in A.P. B.C. Welfare Service. 16 District Panchayat Officers in A.P. Panchayat Raj & Rural Development Service. 05 He holds a Degree of Engineering (Fire) of any University recognized by the University Grants Commission or any other equivalent qualifications. Provided that if no candidates with B.E (Fire) qualification are available, candidates with the Degree in any discipline will be considered. As per Rule -5 (i)(ii) of G.O.Ms.No.574, Home (Prisons .A) Dept., dated: 30.09.1991. 14 Must possess a bachelor’s Degree of any University in India established or Incorporated by or under a Central Act or a State Act or provincial Act or an institution recognized by the University Grants Commission. Provided that preference shall be given to persons possessing a Degree in Sociology or Social work. (Please see para -15.6). Age limit: Candidates age limit should have between from 18 to 42 years. No person shall be eligible for direct recruitment if he/she is less than 18 years of age and if he / she is more than 42 years of age as on 01/07/2018 as per G.O.Ms.No.132, GA (Service -A) Dept., dated:15.10.2018. Candidates should not be born earlier than 2nd July 1976 and not later than 1st July 2000. Age Relaxation is applicable to the categories as per the govt norms. The Commission conducts Screening Test in offline mode in case applicants exceed 25,000 in number and Main Examination in online mode for candidates selected in screening test. If the screening test is to be held 10-03-2019, the date of screening test will be communicated through Commission’s Website. The main examination in online mode for candidates selected in screening test will be held through computer based test on 10-06-2019 and 22-06-2019. There would be objective type questions which are to be answered on computer system. Instructions regarding computer based recruitment test are attached as Annexure - III. In case any paper of the Examination is held in different languages, the candidate has to choose the medium in which he/she wants to write the examination and the paper will be valued with reference to that medium only. 2. Before applying for the post, an applicant shall register his/her bio-data particulars through One Time Profile Registration (OTPR) on the Commission Website viz., www.psc.ap.gov.in. 3. Once applicant registers his/her particulars, a User ID is generated and sent to his/her registered mobile number and email ID. 4. Applicants need to apply for the post using the OTPR User ID through Commission’s website. HALL TICKETS can be downloaded 7 days before commencement of Examinations. (Note: 06/02/2019 is the last date for payment of fee upto 11:59 mid night). 3. The Preliminary Examination is likely to be held on 10/03/2019 in offline mode. 4. The Main examination (Conventional type) likely to be held from from 10/06/2019 to 22/06/2019.